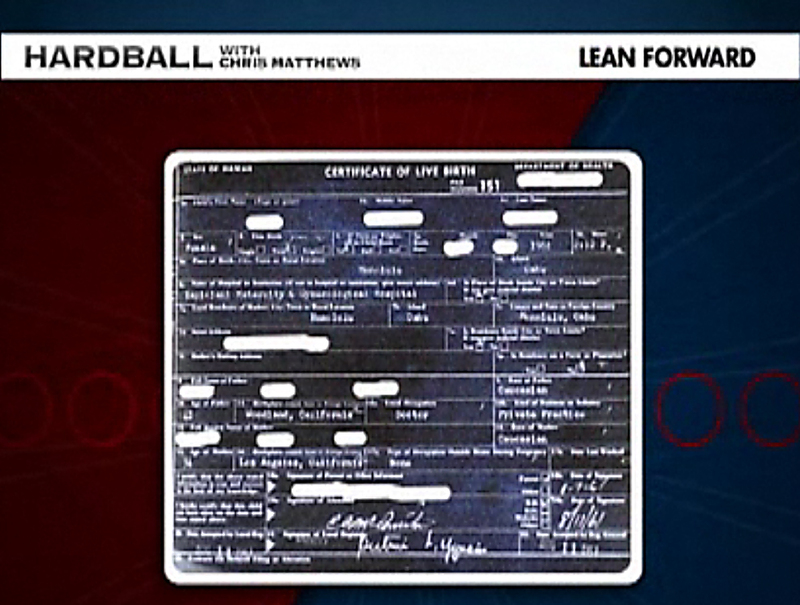 On Monday night’s (Dec 27) edition of CNN’s media-entertainment show “Hardball,” host Chris Matthews talked about putting the birth certificate controversy surrounding President Obama to rest. 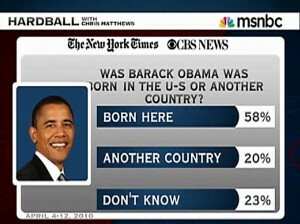 Matthews pointed out that only 58% of the American people who were polled believed that Obama was born in the US, while 20% believed he was born elsewhere, and 23% were not sure where Obama was born. What a lame excuse! All Obama has to do is give the order to release the documents, which should take at most a minute. This is not going to rob Obama from his battles with the Republicans and the likes of General Petraeus. Obama has plenty of time to play golf, to visit Hawaii, and to make his endless trips on Air Force One. 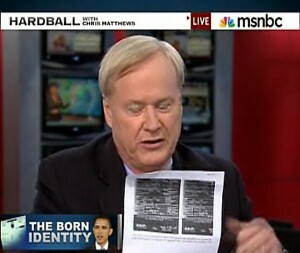 “Why has the president himself not demanded they put out the original documents?” Matthews wondered, holding up an “original” of Obama’s birth certificate with most of the information blanked out. Of course, as we learned in our post of November 17th, that many Mexicans are born in the U.S. In some cases, their parents than rush the baby into Mexico, where they declare to the Mexican authorities that the baby was born at home in Mexico, and they are issued a Mexican birth certificate. These days it takes more than a birth certificate to prove your true place of birth. You need hospital records, as well, and nobody is daring to speak about Obama’s hospital records. “If it exists, why not put it out?” Chris Matthews asks. That’s what we are asking, as well. 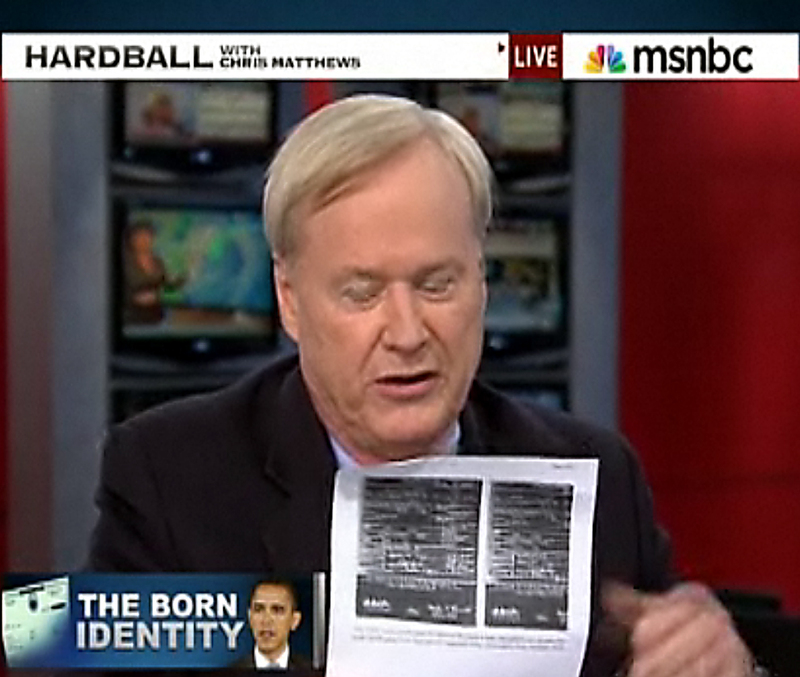 4 comments to Chris Matthews: Why Doesn’t Obama Just Release The Birth Certificate? Does it matters where he was born? So long as he is a US Citizen, he is an american. he is the most poerful american now. 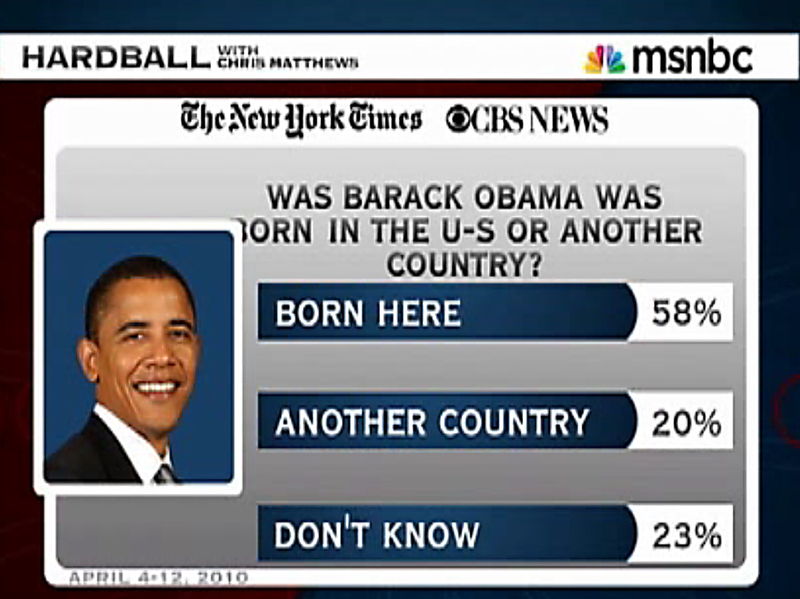 Yes, Patriot, it DOES MATTER where Obama was born. You must be born in the United States in order to become President. Just being a US Citizen is not enough. According to the Constitution, the President must be a natural born citizen of the United States, at least 35 years old and a resident of the United States for at least 14 years. “Natural born citizen” means born in the United States. The Constitution reads, No person except a natural born Citizen, or a Citizen of the United States, at the time of the Adoption of this Constitution, shall be eligible to the Office of President; neither shall any Person be eligible to that Office who shall not have attained to the Age of thirty-five Years, and been fourteen Years a Resident within the United States. Not to confuse the issue, but the only way Obama could be President, if he was not born in the United States, would be that he was already a citizen when the Constitution was adopted. I don’t think Obama was around in 1787 when the Constitution was adopted. 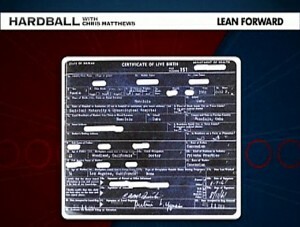 If Obama was truly born in the United States, WHY IS HE HIDING HIS BIRTH CERTIFICATE AND (MORE IMPORTANTLY) HOSPITAL RECORDS. Oh dear! My bad and my ignorance. they should make their president to be honest with them and disclose as required, the facts and informations sought. Absolutely, Patriot, and you are bringing up the most important point. Americans should make their president be honest. If he is, in fact, a native natural born American wouldn’t it be a simple matter for him to prove it?